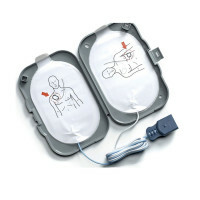 Philips HeartStart FR2 Defibrillation Electrode Pads are general purpose pads for use with Philips (and Laerdal) HeartStart FR2 and FR2+ AEDs, as well as with older Forerunner AEDs. They replace the electrode pads you originally received with your Philips Heart start FR2 AED. We have them at a great price, too! You'll actually receive 6 pairs of electrode pads, not just one pair--that is enough for 6 patients! 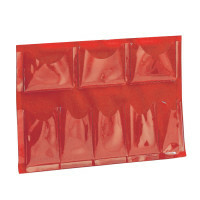 These electrode pads are recommended for use on patients over the age of 8 or above 55 lbs. (25 kg.) in body weight. For children under 8 years of age or less than 55 lbs., we suggest using the Philips HeartStart FR2 Infant/Child Reduced Energy Defibrillator Pads (model number M3870A). FR/FR2/FR2+ Replacement Adult Electrode Pads, 5-pack - 989803158221.